There are many benefits to being supported by a strong social network. But can having more friends actually make you healthier? Yes, according to research done at Concordia University in Monrtreal that shows that social relationships affect not only our mental but also our physical wellbeing. The study was published in January 2015 Annals of Behavioral Medicine. A release from the university explains that Jean-Philippe Gouin, a Concordia psychology professor, tracked a group of international students who experienced major social change following a move to Montreal. The results showed that those who managed to build a better support network were healthier overall. The proof is in their heart rates. Over a five-month period, participants responded to questionnaires that measured their social integration, as well as how lonely they felt. Gouin and his Concordia co-authors, Stephanie Fitzpatrick and Biru Zhou, also monitored participants’ heart rates to detect changes in what’s known as high-frequency heart rate variability (HF-HRV). The study showed that immigrants who were able to form friendships and get involved in new social networks during their first five months in Canada had increases in heart rate variability, while those who remained socially isolated over time showed a decrease. What can new immigrants do to keep their HF-HRV functioning at high levels so that their autonomic nervous systems keep up the good work? “The message is clear: Reach out to other people. 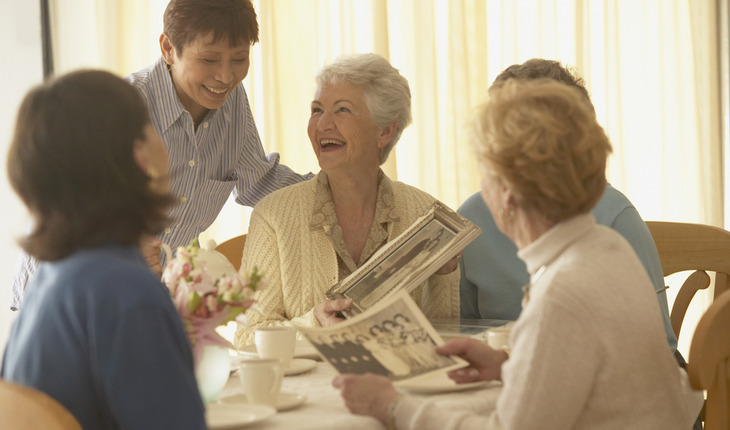 The more quickly you manage to integrate socially in your new home, the healthier you’ll be. It’s easier said than done, but it’s worth it,” Gouin says. Here at ThirdAge we’d like to remind you that although this study’s participants were immigrant students, social isolation often happens as we age. Don’t let divorce, widowhood, or an empty nest leave you feeling lonely. Get out and get involved with others. You’ll be healthier and happier as a result!